Zhou Shengrong, born in Wuxi, Jiangsu Province in 1963, is a member of China Artists Association, vice chairman of Wuxi Artists Association, and curator of Wuxi Oriental Art Museum. In his early years, he studied traditional Chinese painting from Mr. Yang Yuqing, a famous painter in Wuxi. He then went to Beijing to follow Mr. Cheng Dali, a famous painter, engaged in advanced studies at China National Academy of Painting. 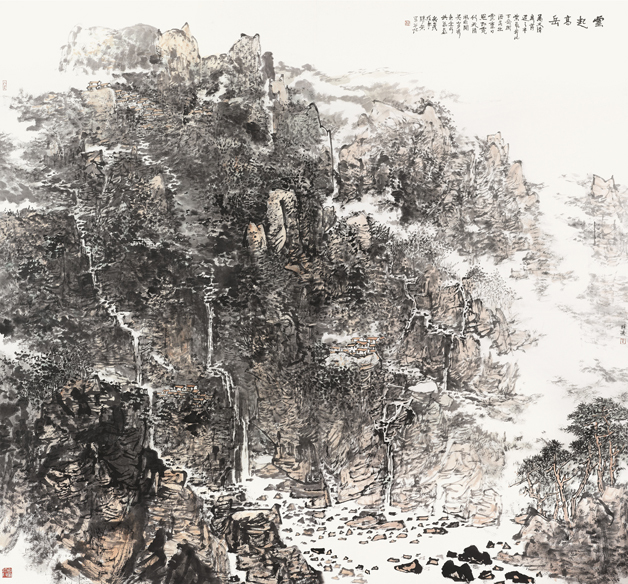 This exhibition displays 58 landscape paintings created by Mr. Zhou over the years. They include the 7-meter scroll "After the Rain in Taihu Lake" and "Infinite Cliffs", as well as a number of award-winning works, to show Wuxi’s beautiful landscape of Taihu Lake and majestic mountains and rivers of the country.